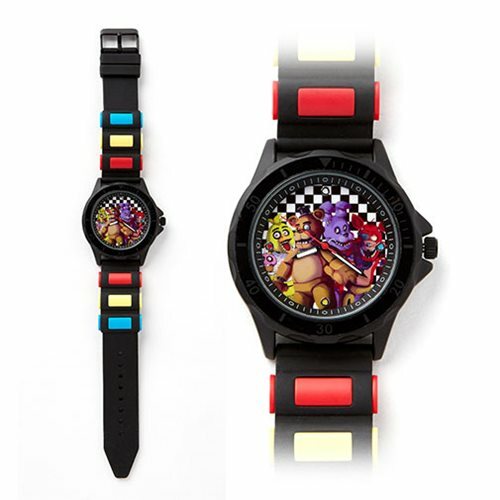 Fans can show their love for the horror PC game with this Five Nights at Freddy's Group Strap Watch! This fun watch features a stylish look throughout the strap and features the group on the face. Strap measures approximately 8 1/2-inches long and the face is about 1 3/4-inches in diameter. Watch comes packaged in a displayable box. Ages 13 and up.